A diet enriched with curcumin, a component of turmeric, and omega-3 fatty acid DHA can repair tissue damage and restore walking abilities in rats with spinal cord injury, a new study claims. The findings, published in the Journal of Neurosurgery: Spine, suggest that these dietary supplements help repair nerve cells and maintain neurological function after degenerative damage to the neck. 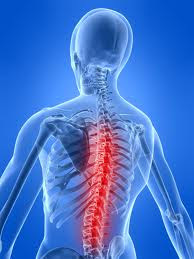 “Normal ageing often narrows the spinal canal, putting pressure on the spinal cord and injuring tissue,” said lead study author Dr. Langston Holly, an associate professor of neurosurgery at the David Geffen School of Medicine at the University of California, Los Angeles. “While surgery can relieve the pressure and prevent further injury, it can’t repair damage to the cells and nerve fibbers. We wanted to explore whether dietary supplementation could help the spinal cord heal itself.” The UCLA team studied two groups of rats with a condition that simulated cervical myelopathy — a progressive disorder that often occurs in people with spine-weakening conditions like rheumatoid arthritis and osteoporosis. Cervical myelopathy can lead to disabling neurological symptoms, such as difficulty walking, neck and arm pain, hand numbness and weakness of the limbs. It’s the most common cause of spine-related walking problems in people over 55. The first group of rats was fed rat chow that replicated a Western diet high in saturated fats and sugar. The second group ate a standard diet supplemented with docosahexaenoic acid, or DHA, and turmeric compound curcumin, while a third group received a standard diet and served as a control group. The researchers recorded a baseline of the rats walking and re-examined the animals’ gait on a weekly basis. As early as three weeks, the rats eating the Western diet demonstrated measurable walking problems that worsened as the research progressed. But rats fed a diet enriched with DHA and curcumin walked significantly better than the first group even six weeks after the study’s start, the researchers found. Next, the researchers examined the rats’ spinal cords to evaluate how diet affected their injury on a molecular level. They measured levels of three markers linked to cell-membrane damage, neural repair and cellular communication respectively. The rats that ate the Western diet showed higher levels of the marker linked to cell-membrane damage. In contrast, the DHA and curcumin appeared to offset the injury’s effect in the second group, which displayed equivalent marker levels to the control group. Levels of the markers linked to neural repair and cellular communication were also lower in the rats fed on Western diet. But, these levels in the rats fed the supplemented diet were similar to those of the control group, the scientists found. Our study, they said, suggests that diet can help minimise disease-related changes and repair damage to the spinal cord. “We next want to look at other mechanisms involved in the cascade of events leading up to chronic spinal cord injury. Our goal is to identify which stages will respond best to medical intervention and identify effective steps for slowing the disease process,” Holly added.